Happy birthday, Dirty Lil’ Britt! Big day today, CRG Nation! One of your Cajun Rollergirls is celebrating a birthday! While she may not be the biggest skater on the track, she definitely makes a big impact with her performance and determination each jam she plays, and also plays a big role off the track. She’s our 2013 Jammer of the Year and also our reigning Bite Your Tongue and Taking One for the Team Award winner. She’s Dirty Lil’ Britt! Let’s wish her a big Happy Birthday! 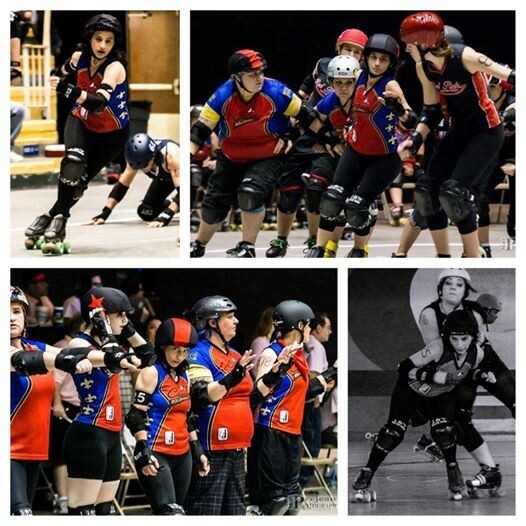 Advance tickets on sale for CRG vs. CenLa on June 28! Buy some Raising Cane’s, benefit Cajun Rollergirls!